The Stevie® Awards have announced the eight executives who will chair the specialized final judging committees for its 12th Annual International Business Awards, the top business awards competition in the world. All organizations are eligible to submit nominations - public and private, large and small, for-profit and non-profit. The eight committee selections are based on the categories that will be judged. Here are this year's final judging committee chairs. 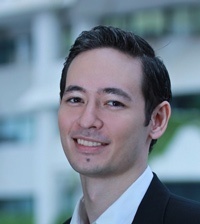 Takeo Apitzsch heads the digital department for corporate and crisis at Edelman Indonesia, where he develops key offerings and tools for corporate and consumer clients. He regularly conducts training sessions and workshops in digital knowledge, current trends, and communication strategies for C-level members at the company. Takeo acquired expert knowledge and extensive experience in the fields of marketing, PR, sales, IT, and client management, not only working with international companies, but also by running his own ventures, which included development of websites and mobile apps. Takeo studied Science of Economy at the University of Cologne from 2005-2007, and received a Masters in Marketing Communications from the London School of Public Relations, Jakarta, in 2012. More recently, he has volunteered for Habitat For Humanity Indonesia as part of Edelman’s Global Citizenship program, and he is a regular Co-host for French Tuesdays in Jakarta. 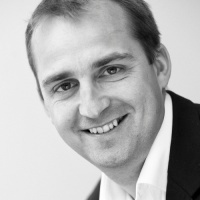 Matt has worked in the sales training and enablement industry for the last 15 years in both the United Kingdom and the US, helping global companies to become motivated and high-performing sales organizations. As one of the founders of Strategy To Revenue (STR), Matt previously focused on sales and marketing for the company. Now, as CEO, Matt is involved in all aspects of the business to drive the growth strategy, while still playing an active role engaging with new and existing clients. Prior to STR, Matt spent eight years working for other global sales training and performance companies engaging with Fortune 500 companies. During that time, Matt lived in the US and led a sales transformation practice, before returning to the UK to launch STR in 2008. Outside of work, Matt is passionate about sport and is kept busy enjoying life with his wife Rosie and their three children Joe, Olly, and Bella. Matt holds a BSc in Business Information Technology Management. "My passion is making health care better for Canadians,” says Juggy Sihota, VP of Customer Experience Strategy and Operations at TELUS Health. Juggy currently leads the national Customer Experience Operations team. Her work includes the development and execution of a national service strategy for driving the performance and engagement of the business in order to increase client loyalty, profitability, and satisfaction. A telecom executive with more than 20 years of leadership experience, at TELUS Juggy has led several emerging technology businesses and operations spanning service development and operations, as well as strategy and marketing. Prior to her current role, Juggy was Vice President of Client Experience, Strategy, and Development for TELUS consumer services, which covered TV, High Speed Internet, landline, and wireless. Under her leadership, a national team of 170 management professionals transformed customer experience at TELUS, resulting in a 35% drop in call centre call volumes year-on-year, and a 40% reduction in customer complaints year-on-year. 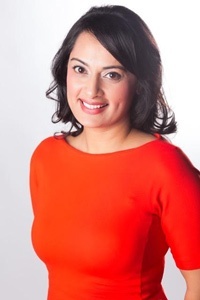 She received a Forty Under 40 award in 2012 for her business achievements, inspirational leadership, and community contributions, and was also one of seven women in Canada to be awarded the 2013 Leadership Excellence Trailblazer Award by Canadian Women in Communications and Technology. Holly Gilthorpe is chief officer of communications for GE Software. She is responsible for putting into practice public relations programs that communicate the value of GE's software and data analytics capabilities to the broader industry. Holly has spent the past 21 years working in public relations, employee communications, and marketing for high technology companies in and around the Bay Area. Previously, Holly served as director of corporate communications at TIBCO, a provider of infrastructure software, where she successfully raised the profile of the company as a software and analytics leader. 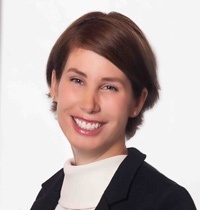 Holly was also director of worldwide public relations and internal communications for Spansion, a global leader in Flash memory semiconductor solutions, where she played an instrumental role in the company's crisis communications relating to litigation and restructuring activities. Prior to that, Holly spent five years at IBM, driving internal and external communications for IBM research and software businesses. Eniz Akdag has been working at Turk Telekom Group Communication Services since 2012. He leads the Customer Sales & Service Operations for the third-largest group of companies in Turkey, with 34 different locations and more than 7.000 employees.Turk Telekom Group is the leading communications and convergence technology group in Turkey. As of March 31, 2015, Turk Telekom Group companies has 13 million fixed access lines, 7.6 million broadband connections, and 16.6 million cellphone subscribers. Eniz currently plays a major role in transforming the Group’s call centers from cost centers to profit centers. His focus is on a high standard of customer care combined with high employee satisfaction. 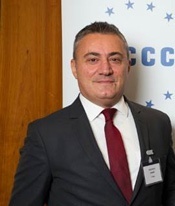 He brings considerable experience to this task: he was the leader of key customer care projects at Turk Telekom, which successfully introduced such new concepts as increasing first contact resolution; increasing customer satisfaction; decreasing repeat-calls volume; improving back office operations processes; decreasing churn; and increasing cross-sell activities. Being part of a strong team is critical to Eniz in managing these operations. He relishes a challenge, and is always willing to try new methods of execution. He also believes in motivating his team by encouraging creativity and innovation and involving the team in the decision-making process, but he never forgets to have fun while working. Eniz was honored to win the Silver Stevie Award for Customer Service Manager of the Year in the 2015 Stevie Awards for Sales & Customer Service. He also led his team to win ‘Best Contact Center of Turkey’ in the 2013 IMI Awards. He graduated from the Business Administration Department of Istanbul University, and was involved in many social responsibility projects during his years at university. Michalle believes: “Invest in your people, increase your profit.” She is a senior Human Resource Management practitioner with more than 25 years experience gained in the building, construction, and labor hire industries. In addition to her business and Human Resource Management expertise, she is an active Workplace Health and Safety Consultant. 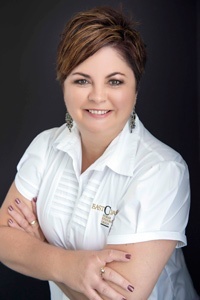 Michalle is also a qualified Workplace Trainer and Assessor and Internal Auditor of Quality Systems, including AS/NZS 9001:2008 and AS/NZS 4801- OHS Management Systems. As well as providing clients with consulting services, Michalle is responsible for the EastCoast Human Resource Group’s delivery of specialist workforce solutions to a wide cross-section of clients. She is also responsible for general business development. Michalle’s commitment to her profession was recognized in 2008 when she was awarded a Business Woman of the Year Award. A devoted wife and the mother of a young family, Michalle still finds the time to volunteer for the extremely active Sunshine Coast Business Women’s Network. 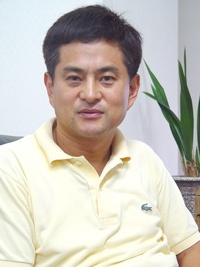 Han Sangpil has been Professor at the Department of Advertising and Public Relations, Hanyang University, since 2002. He joined the department as an Assistant Professor in 1991, and was promoted to Associate Professor in 1997. In addition to being Head of Department at various times between 1993 and 2002, Professor Han was Associate Dean of the College of Communications and Social Science from1999 to 2002. Outside of his academic role, Professor Han has also been Director at the Hanyang University Broadcasting Station for two year, and earlier, was the Director of Internet Hanyang. In addition to his impressive academic achievements, Professor Han is a member of the American Academy of Advertising, and was president of the Korean Academy of Advertising from 2010 to 2011. He is a member of the Board of Directors of the Korean Service Marketing Association, the Korean Academy of Marketing, and the Korean Academy of Customer Satisfaction. He is also an enthusiastic supporter of the MBC Children’s Football Foundation. Professor Han received a BA (Honors) from Hanyang University in 1985, having completed his military service. In 1987, he received an MS in Advertising and Public Relations, going on to earn his Ph.D. in Communications in 1990, both from the University of Illinois at Urbana-Champaign. 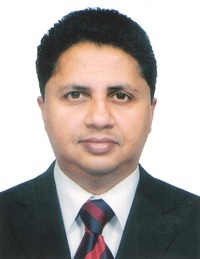 From 2001 to 2007, Mahesh spent seven years at Emirates NBD, where he became the Program Office Project Head (Operations & IT) in the Merger & Integration department during the merger of Emirates Bank and National Bank of Dubai. Before moving to Dubai, Mahesh worked for HSBC at its Area Head Office in Mumbai. Outside of work, since 2006 Mahesh has been volunteering as a Senior Assessor (Team Leader) for the Dubai Quality Award, run by the Department of Economic Development, Government of Dubai. Starting out with a BSc from Presidency College, University of Madras, Chennai, India, Mahesh went on to earn an MBA with distinction from Bradford University of Management in the UK in 2007. In 2009, he qualified as a PMP from the Project Management Institute. When not working, studying, or volunteering his services, Mahesh can be found painting, reading, or playing carrom. The International Business Awards winners will be announced on August 12. Tickets for the October 23 gala awards ceremony in Toronto, Canada will be sold in mid-August through October 13.